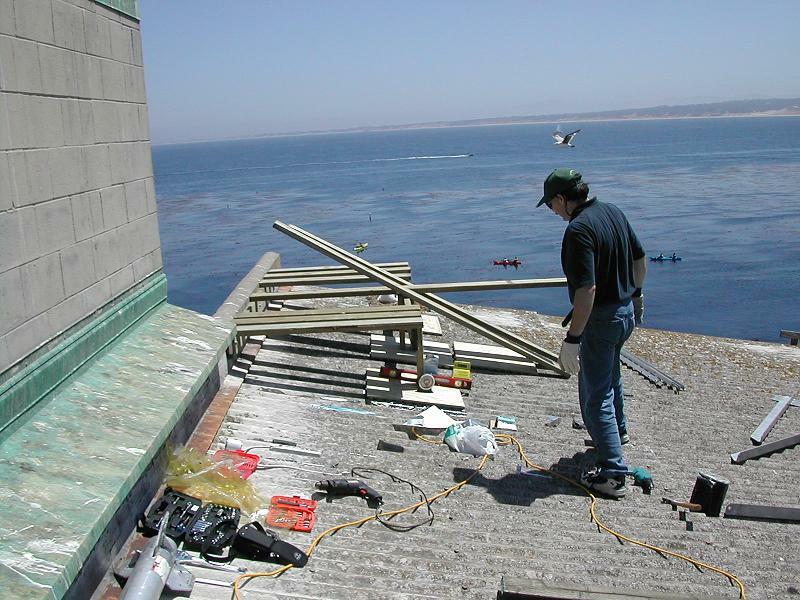 At 810 Cannery Row in Monterey, a platform was built on the pitched roof of the host building to provide a level surface. Radio equipment was furnished and installed by TotalRF from Bensalem, Pennsylvania. Cisco routers and associated equipment was furnished by IFE/Mystic Aquarium in Connecticut. The application will be high resolution video served live over Internet-2 from the nation's marine sanctuaries to aquariums and other educational institutions. IFE has a tethered R.O.V. equipped with underwater cameras as well as land-based above water cameras. The tripod mount is weighted with cinder blocks. It is aimed at UCSC. The maintenance door on the radio is open to give access to the measure the signal strength as an aid in aiming the antenna. At UCSC, the radio and antenna are on the Oakes Learning Center. Overall, the distance spanned by the radio is 27 miles. The microwave dishes are 4 ft in diameter and project a beam less than 1 degree wide. The Oakes antenna is supported on a block weighted tripod mount of the same design as shown in Monterey. 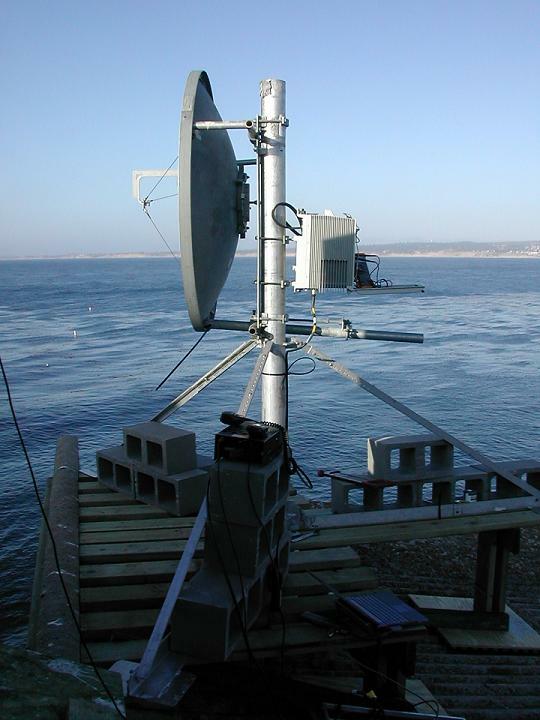 UCSC's Institute for Marine Sciences is the campus sponsor for this network connection that links the cameras to Internet-2's Abilene research network.